You may own property inside a federal flood control reservoir. A class action lawsuit has been filed on behalf of all homeowners located within the design pool of the Addicks and Barker Reservoirs. 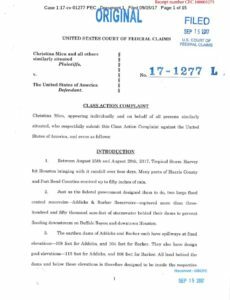 Read the Master Complaint filed in the United States Court of Federal Claims. Click here to read answers to frequently asked questions about the lawsuit.